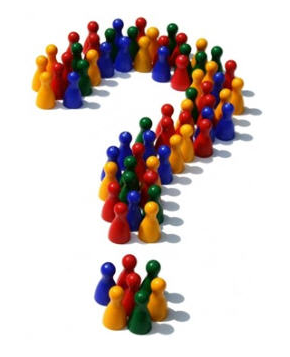 is the case when the homeowner may be able to pay the mortgage but simply chooses to walk-away from the mortgage. This is often done when the homeowner owes more on the home than it’s worth. Foreclosure is a process and not a product (e.g., it is not a house, nor a land, etc.). 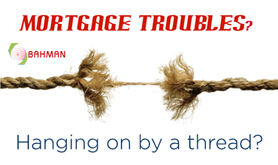 There are three phases of foreclosure from the time a homeowner defaults to the time the lender or Bank sells the property. These phases are pre-foreclosure, foreclosure at court-step, and post-foreclosure also known as REO (Real Estate Owned by bank). www.TexasFiveStarRealty.com/Foreclosure_Conduct_of_Sale_in_Texas.asp to see the rules for foreclosure timelines and conduct of sale for foreclosure Sale in state of Texas. If the problem has not been resolved between the lender and homeowner prior to the date and time of the sale, the property will be auctioned and awarded to the highest bidder. Each State has different rule and regulations regarding selling the types of foreclosure (e.g., Judicial or Non-Judicial), how, when and where to sell foreclosure properties, Right of Redemption, etc. Click www.TexasFiveStarRealty.com/Foreclosure_Conduct_of_Sale_in_Texas.asp to see specific rule and regulations regarding how, when and where foreclosure properties in Texas are being sold. 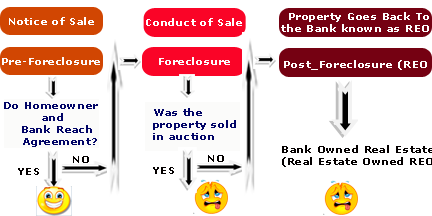 If the property is not sold in auction, as described above, it goes back to the lender or Bank. After that point, the property will be known as REO (Real Estate Owned by bank or lender) and will be listed in MLS, by an authorized licensed real estate agent, to be sold. This is the type of property that most of purchasers, by mistake, refer to as foreclosure.